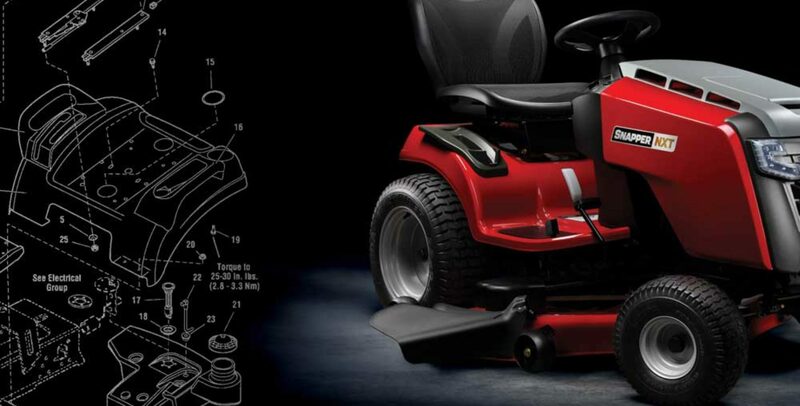 Buy original Snapper parts for all your Snapper lawn mowers, rear-engine riders, lawn tractors, walk-behind mowers and snow throwers at Snapper.parts. We offer low prices and same-day shipping. Use the quick Snapper parts lookup at Snapper.parts to find original Snapper parts fast. If you need assistance please call 1-800-704-4241. You will need your Snapper model number or part number. Need parts for the Briggs & Stratton engine on your Snapper lawn mower? Use our Briggs & Stratton Lookup. Shop Power Mower Sales for the best prices on Snapper equipment, parts and accessories. We offer the lowest prices and lightning fast shipping to get you back to work ASAP. Browse our selection of parts and equipment and don’t hesitate to contact us with any questions or help to find parts.